Find out how to spark your natural seeking curiosity and feel more alive. Did you know that humans are hard-wired to seek out new and different territories? In other words, we are born naturally curious beings. Being interested in new stuff is our survival mechanism! Unfortunately, as we get older (and busier), we seem to get less curious and more passive. For instance, we may unconsciously jump on Netflix rather than read a non-fiction book, or, scroll through Facebook rather than learn about melting glaciers or the new species of ants recently discovered. What happened to our natural curiosity—that seeking state we were born with? 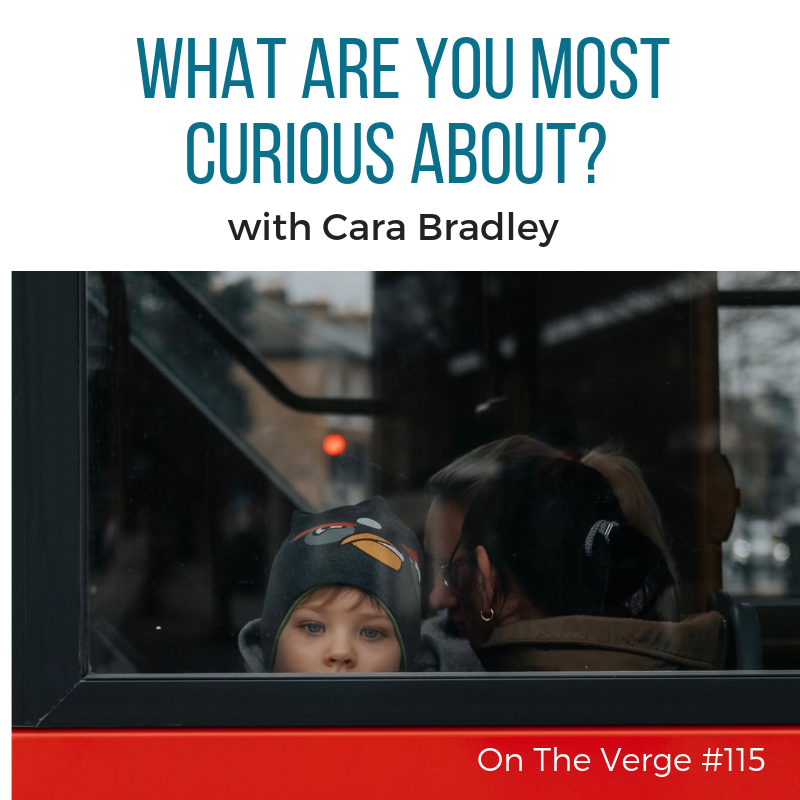 In this episode Cara talks about how to re-spark your natural curiosity with a simple protocol. 1) Start by listing 25 topics you are curious about. 2) Create a daily curiosity practice by spending 15 minutes per day on a topic of interest. 3) Enjoy a hit of excitement and a jolt of enthusiasm as you learn and discover new stuff. Listen and learn how sparking your natural curiosity is an easy way to feel happier and more excited about life.